Where client satisfaction has been our key goal for over 25 years. Located in northern Melbourne, at Concept Bathrooms & Construction we utilise our combined expertise and professional customer service to provide the best outcome through your bathroom or kitchen renovation experience. The bathroom and kitchen can be the most important rooms in the house and is one of the main things that people look for when assessing the quality of your home. A well-presented bathroom and kitchen can be a major factor when deciding to sell or rent as well. Whatever the reason, the decision to renovate your bathroom or kitchen can be a complicated but worthy endeavour. At Concept Bathrooms & Construction, we provide a service that makes this decision all the more simple. Whether it’s a simple update to the decor, complete custom bathroom remodelling or an entire overhaul of your space, we want to make sure that your bathroom or kitchen transformation is completed and personalised to your every satisfaction. Concept Bathrooms & Construction also provides bathroom renovations for elderly and disabled to help with bathing, showering and toileting difficulties. There is no better feeling than walking in your stylish kitchen or bathroom. It definitely feels great to see your property designed the way you want, and we understand it best. That is why our team at Concept Bathrooms & Construction work closely with you to understand your needs for kitchen or bathroom renovation in Preston. Once we get the overall idea of your requirements, we move further by using our creative and technical abilities to turn your idea into a stunning reality. Our experienced team will keep you informed about every update of your renovation projects of bathrooms and kitchens in Preston.This will give you a peace of mind that your property is being renovated exactly the way you wanted. 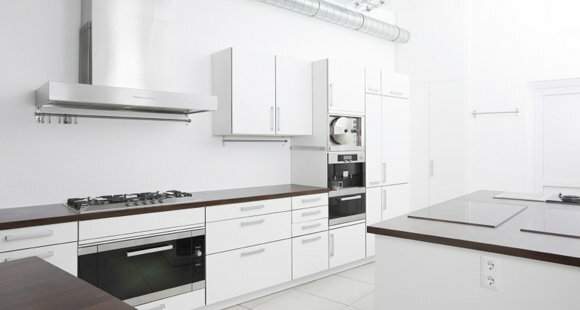 We provide a personalised service which will clearly reflect in our work from start to an end of your bathroom or kitchen renovation in Preston.We use only the highest quality of materials and when it gets combined with our creativity, we provide you with a transformation that you will definitely fall in love with, at once. What Sets Us Apart with Bathroom and Kitchen Designs in Preston? We have over 25 years of experience in the renovation industry. Our team has an eye for detail and exactly know what works and what doesn't. As we specifically work in kitchen and bathroom designs in Preston, we have an in-depth knowledge and expertise of the same. We believe in constant learning which makes us stay abreast of the latest trends and introductions in the renovation industry. Our bathroom and kitchen designs in Preston talk about everything, including functionality, style and elegance. Our prices are very competitive and you can be sure that your renovation project won't hurt your balance. We make sure that our bathroom and kitchen renovation in Preston uses the space perfectly and productively. We understand your requirements and work with you every step of the way. We only provide quality products and outstanding workmanship in all our renovation projects. We aim to make the process of your kitchen and bathroom renovation in Preston as stress-free as possible. Our professional team gets the job done on time so you get back to your routine life at its earliest. We do not entertain unexpected surprises related to expenses and try our best by working within your framed budget. If you like our latest kitchen and bathroom designs in Preston, our services are just a call away.We have renovated many bathrooms and kitchens in Preston, and we can guarantee you the best renovations in that area. Call us at 1300 851 955 to share your renovation requirements and we will take it forward from there.